2018 FALL COLOR TRAIN RIDES! 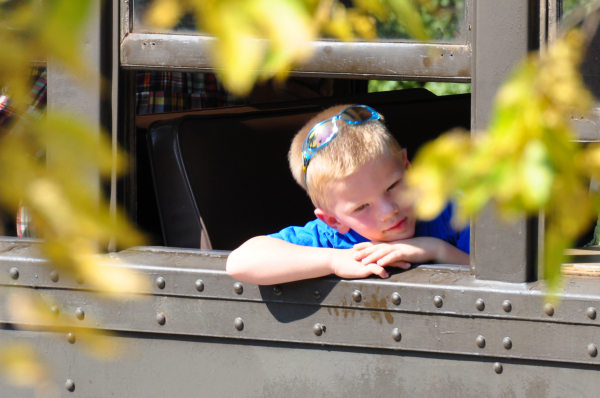 Starting September 27th and running through Oct 14th, view the beautiful St. Croix Valley fall leaf colors on our historic train rides in the Valley! Fall Color train rides are just like our other train ride trips - they start and stop from the Osceola Depot, in Osceola, WI. 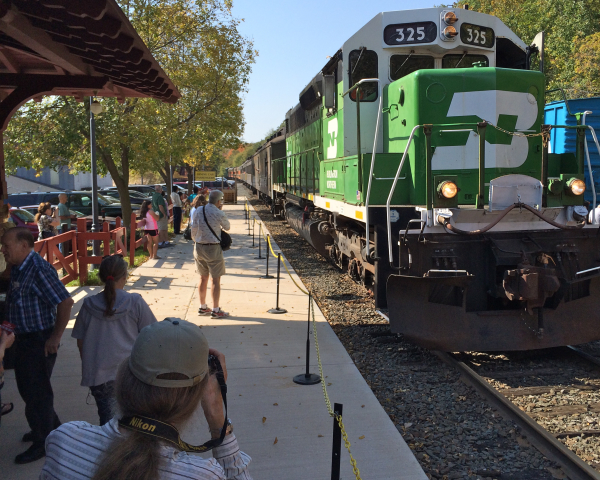 -->You board right at the historic Osceola Depot. 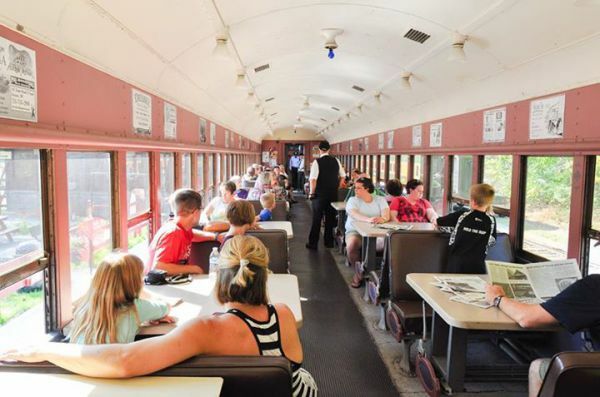 They are 90-minute (round-trip) excursions that take you along the St. Croix River Valley, crossing the river into Minnesota, and the train stops briefly at Marine on St. Croix, in order to reconnect the locomotive to the other side, and take you back. 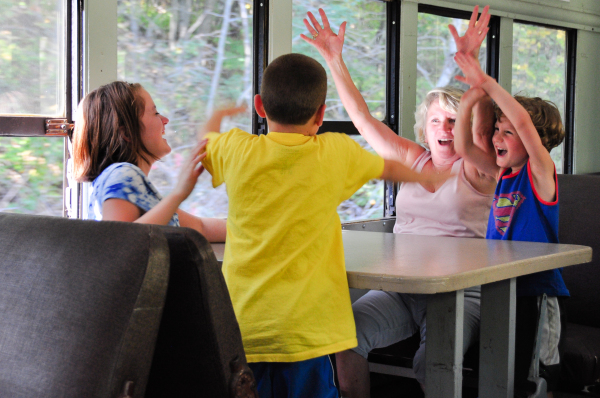 Brunch or Dinner train rides are available at selected dates & times, check ticketing schedule for time and availability.